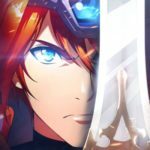 Netmarble is quite prolific in releasing new mobile RPGs these days, and the company’s newest of these RPGs is called SoulKing. The game promises to revolutionize all RPGs in 2016, and it allows you to use perfect timing to intercept, dominate, and obliterate the enemy. You can choose from up to 370+ characters with five element affiliations, take part in different game modes, including the standard Adventure and Multiplayer modes, and devise your own tactical strategies that may be able to help you in making the most epic comebacks. According to the company, this is an “unpredictable” RPG that leaves no room for carelessness, but at the same time the controls are simple enough to make strategic gameplay possible. 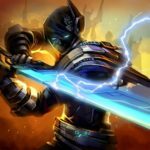 As this game has just been updated earlier in the month, you may be curious as to what you can expect in a game with 370+ heroes, and what things Netmarble has done to the game to make it unique in a crowded RPG market. 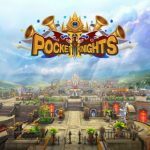 That’s why our exclusive list of SoulKing tips, tricks and cheats is mostly designed for beginners, though experienced players might be able to learn a couple of new things by checking this guide out. Take advantage of the fact that Netmarble has packed SoulKing with tons and tons of characters. It will actually benefit you if you have more heroes, and the game will even give you five chances per day to get yourself a new hero for free. Now chances are you may be getting a common, less powerful hero rather than a rarer, more powerful one, but you shouldn’t write that hero off as sacrifice fodder. Remember what we often say, that passive skills are often more important than the active ones? That’s the case here in SoulKing, as that ostensibly weak hero may have a passive skill that could be of good use down the line. Aside from acquiring your heroes for free, you can also buy them with gold (common currency) or diamonds (premium currency), or by using your Soul Stones. Using diamonds allows you to draw ten heroes, with one of them guaranteed to be of Legendary rarity. As SoulKing also comes with more than its fair share of game modes, having more heroes could also work to your advantage here. Some heroes may be better used in certain modes as opposed to others, and that’s where the thing about giving heroes the benefit of the doubt comes into play once again. Don’t let that common hero acquisition get you down, as you may be able to use them in a different mode from the one you’re playing. 3. How Can You Make Your Heroes More Powerful? Head to the Spirit Well and Gold Mine regularly, as you’ll want to go there to improve your heroes further. Level both structures up so you can improve the production rate of diamonds and gold, and improve the storage capacity. If you keep those structures leveled up regularly, you’ll be making loads of in-game currency, thus giving you more resources/currency to make your heroes better. You’ll eventually have to evolve your heroes, which improves their rarity grade. But that would require you to play the Daily Dungeon, which also allows you to acquire [Ku] (don’t forget the brackets), which is a crafting material for the evolution process. Enter the Material Dungeon once you’re ready to promote your heroes, as crawling through there successfully will reward you with promotion materials. Be sure you’re choosing the right heroes for this dungeon, as the Material Dungeon comes with three parts and distinct circumstances that might backfire against certain heroes or hero types. You can get yourself more of the game’s titular Soul Kings by going on Explorations, and you can earn more Soul Pieces by clearing more stages successfully. The Soul Pieces, if you’re wondering what they are, are used to summon Soul Kings, so you’ll want to collect as many of them as possible if you want to have more Soul Kings unlocked. 5. How Else Can You Get Legendary Heroes? It is possible to get a Legendary hero over time, and organically, meaning by playing the game as you normally would. But you can also use your gems – rubies and topazes in particular – to buy a Legendary Hero for yourself. Rubies are earned at the Arena, while topazes are earned at the Material Dungeon. Take note, though, that the Legendary heroes you can buy at the Market will only be available for a limited period of time. The Market will change the list of available heroes from time to time, so you should always visit the Market, preferably at least once a day, and buy a Hero if you can afford him or her, as there’s no telling how long they’ll be available to buy at the Market. You can use your rubies and topazes to reroll the list of items being sold, though we don’t recommend doing this too often. Obviously, you want to earn as much gold as possible in the game, and the tip we told you above is a great way to earn much more of it. But there is no such thing as having too much gold in SoulKing; some procedures, such as enhancing and promoting gear, can be quite expensive, so you should always be working toward increasing your gold reserves. Save up on gold whenever you can, and complete higher-tier stages, as that could earn you more gold due to the higher degree of difficulty. You can also go to the Pirates’ Lair, acquire statues, then sell them for gold in the market. 7. Why Play Story Mode? We tend to be including this tip more and more often in our RPG strategy guides, simply because many players don’t care much for the solo-playable story modes once they’ve gotten their feet wet in the multiplayer modes. So why play Story Mode here? In SoulKing, Story Mode can be described as a change of pace, a mode you can play by yourself as you go through each different chapter in the game. The story has been described as quite interesting and engaging, and while you may or may not agree with this, you may find the rewards you can earn to be more to your liking. And you’ll also want to remember that this mode does not require you to spend any Stamina. Want your heroes to become more fearsome in battle? Feed them more. Food can be acquired by completing stages, or you can go to the lobby’s Restaurant to order meals. Food items are rated based on the XP they could give your heroes, but higher-XP food items do take longer to prepare. So with that in mind, you should monitor your restaurant, keep its operations smooth, and place orders right before specific food items run out. Just remember that you’re only allowed to store up to 999 units of food per item. The bottom line is this – your heroes could become more productive if you feed them, and feed them good food in specific. And as your hero’s level goes back to square one after you evolve them, you should feed them any extra food you’ve got, and take advantage of the game’s food rewards – a limited number free high-end food items that could help your newly-evolved hero level up faster. We mentioned [Ku] earlier, and to further elaborate on what this is, this refers to Material heroes which are used to evolve separate heroes. Normally, heroes whose level is maxed out can be evolved to the next rarity grade by sacrificing three heroes of the same grade. But [Ku], on the other hand, don’t need to be maxed out for evolution; it is possible to evolve [Ku] even if they’re only at level 1. But you should NOT use [Ku] as evolution fodder for another [Ku], and here’s why. If you want to evolve one of your [Ku], the best thing to do is to use a regular, common hero whom you don’t need as a material sacrifice. Always use your commons when evolving [Ku], as you won’t miss them anyway when they’re gone from your roster. And keep those [Ku] evolution coming, as they’ll make it easier for you to evolve your rarer heroes at later points in the game. Your hero’s gear is equally as important as its rarity. And you’ll need to take note of a few simple things when it comes to enhancing gear. First of all, the first five gear enhancements always have a success rate of 100 percent or better, with maximum enhancement levels depending on the rarity grade. Enhancement caps go up, of course, for rarer gear. You’ll also get a bonus option for each five enhancements that go through successfully. Lastly, use your Hammers later on in the game to enhance your rarer gear and enjoy better success rates. 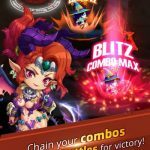 This would be our extended guide for Netmarble’s mobile RPG, Soulking. If you happen to know other tips and tricks for the game, don’t hesitate to let us know!